The following is a list of room and equipment hire prices for 2018, which is current. 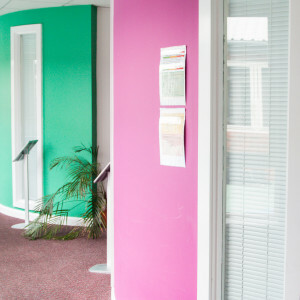 The two counselling rooms can be used for 1:1 advice sessions, or counselling for individuals or couples. They are carpeted, quiet and self-contained with natural light coming in through an overhead skylight. The Studio has a sprung wooden floor ideal for exercise sessions, dance and other activities and has a maximum capacity of 40 people when seated. It is very light and spacious, with views over the Health Park grounds. It also has linked access to the Activity Room for larger meetings or split activities. Contains tables and chairs for meetings or group work, arts activities or discussion groups. It seats up to 20 people. It also has convenient access to the Studio for larger meetings or split activities. Ample parking including disabled spaces available. The Health Park has ten acres of green space with room for many different activities. There are benches for picnics, an amphitheater used for drama and games and a measured one-mile walk which is suitable for walking or running. There is a fully equipped children’s play area, space for football or other ball games and outdoor gym equipment. With benches where you can sit and look at the view or chat to friends, the park is a well-used and a lovely environment to get some fresh air.